I have a very physical career and was looking to increase my strength. 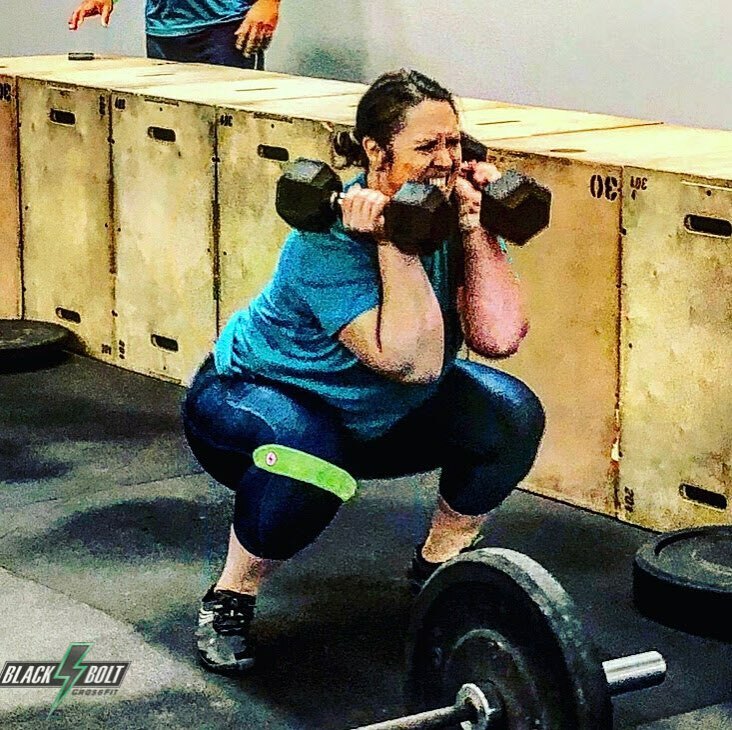 A friend of mine did Crossfit and I liked the way she described the programming and community. I started looking for a gym near me and found Black Bolt online. My first impression was mostly about Jason, the owner. He is very personable, knowledgeable about Crossfit, and demonstrates integrity and passion for what he does consistently. Unlike other trainers I've worked with, I knew he was someone I'd be motivated by. I was nervous that the community might be made up of only young people who were in amazing shape but he assured me quickly that the members at his gym were very diverse in their abilities and goals. It didn't take long before I knew I would enjoy the atmosphere. For me, my biggest accomplishment is that I've stayed engaged and am still enjoying Crossfit every week after more than a year and a half. I've never stuck to any exercise regime this long. Crossfit gives you everything you need to become strong, flexible, and overall fit. I still love going to class and feel guilty when I miss it. Now that I'm committed to an exercise program, I need to start concentrating on my nutrition in 2018 so I can fuel my body better and make the most out of my Crossfit workouts. There are so many to choose from. We have a great community where we all like getting together for social events. I have to say that my favorite workout is the 12 Days of Christmas workout. It's killer but the spirit in the gym is so positive and everyone enjoys a great workout before indulging in all their Christmas temptations.